Do I believe the hype? Yes yes yes!! This is the first time in my life I’ve seen a result in one useage with a skincare product! Let me tell you I’ve tried a lot….from Creme de la mer to drugstore skincare products. I worked for over 10 years in beauty so got my hands on a lot of skincare brands. 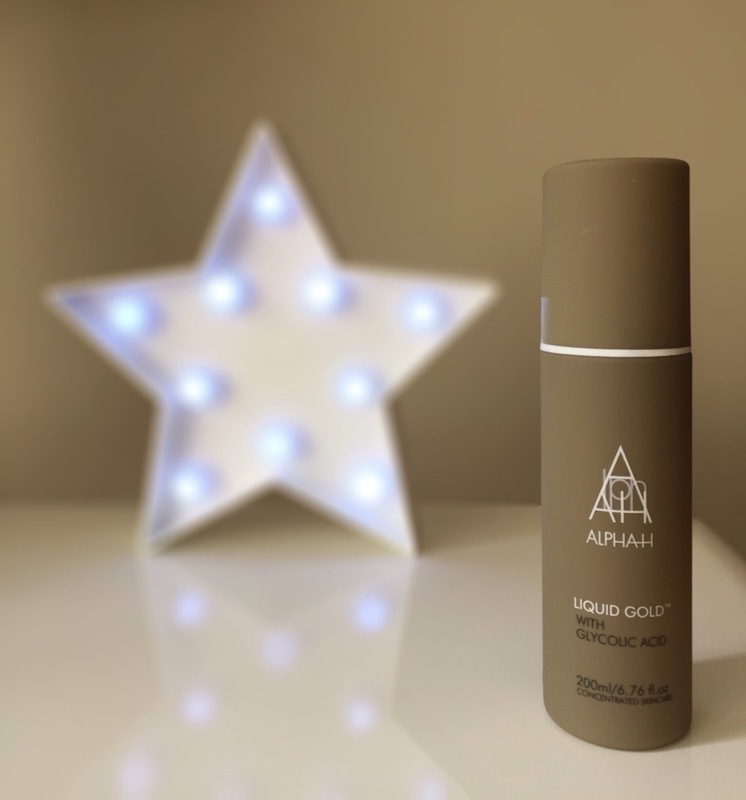 I would normally try out a product for a month or more to get a good handle, but had to shout from the rooftops (or blog tops ) about Alpha H liquid gold as it changed my skin in ONE NIGHT yes you read that right ONE NIGHT! I have large open pores on my nose, and it’s oily and dry making it difficult to apply makeup. The makeup would ball up and sit in my pores until I used this magic potion. Makeup glides on my nose, pores are smaller and my skin is looking radiant and rested looking! Add in pancreatitis and vitamin deficiency and Alpha H had its work cut out…..
Alpha h liquid gold first piqued my interest via the Queen of Skincare Caroline Hirons; you will only find products that work on Caroline’s blog or YouTube channel. This lady has integrity so you won’t see products that are rubbish or gimmicky. Everyone needs this in their life! Young, older, male female. A friend told me yesterday her husband thought she had Botox! High praise indeed! The science and useage bit…..Alpha H liquid gold is made from a natural glycolic acid and liquorice extract. It’s designed to improve the look of fine lines and is especially good for dull scarred sun damaged skin. Apply 3 times a week at night (and it may tingle). Is suitable for younger skin with acne scarring and spots, as well as older skin with fine lines and open pores. The strange thing is you don’t apply moisturiser and serum after, which goes against everything I do at night. This allows the Liquid gold to work more intensively. 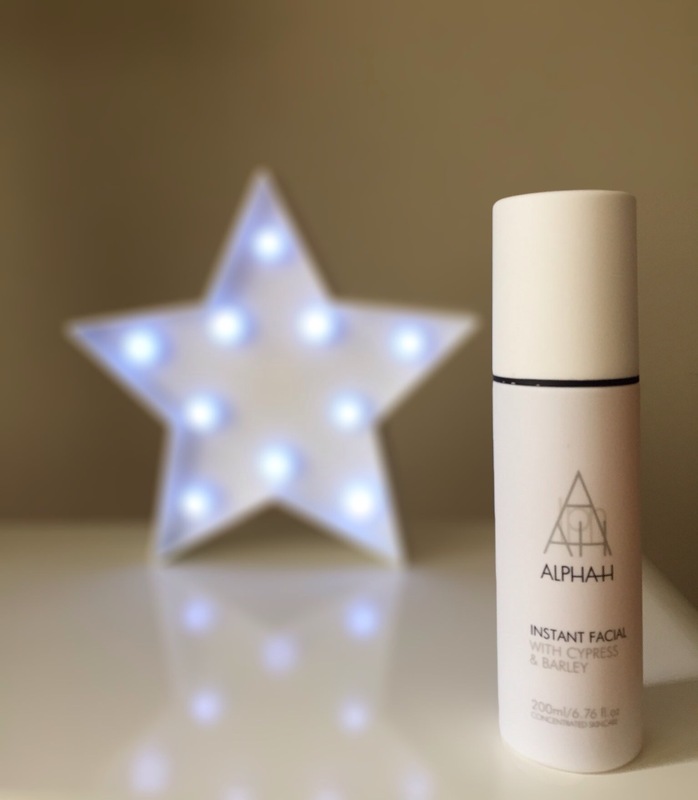 I don’t think I can be without Alpha H liquid gold, and have bought the Instant facial which is a daily version which I can use daily under my makeup. My skin is looking so good I’m just using a BB cream as its looking too good to be hidden under heavy foundation. My advice, get yourself Alpha H liquid gold especially if you have any skincare issues. You won’t regret it! Tis a Magic Potion! Please don’t forget to use at least SPF 25 all year round, as this product exfoliates so well it makes your skin susceptible to sun damage. I got my Alpha h liquid gold From Cloud10beauty . com worldwide shipping! As I have gotton older, and with the way that my eczema is these days, i have taken MUCH MORE of an interest in both my skin looks but feels. Friends say, oh but it’s expensive that you pay £30 for an Estéé Foundation when you can get one for less than a tenner. Yes, but a) you don’t get your colour matched to your skintone and any problems that you have assoc with your skin, like dry, oily, sensitive, combination etc. You don’t know WHAT your paying for. When you pay that bit extra and chat to the Counter Consultant, your paying for what you get. I but the expensive monthly magazines if they have ‘free trial products’ despite the expense of the Magazine, your trialling the product. I have gotton RODIAL which i ❤ i love their lip balms, eyeliners, their not cheap to buy but a) they work and b) their highly reccommended within the beauty industry. I love ELEMIS that i have then also gone on to buy that i have also ❤ that initially came from a Magazine and more recently, THIS WORKS PILLOW SPRAY. I strongly believe that you pay for what you get, buy cheap you will know, buy expensive, you feel the difference. My Hairdresser introduced me to Bumble & Bumble products as they are paraben free amongst others, which i ❤ and also NIOXIN as my skin treatment for my Immuno/chemotherapy is making my hair fall out in clumps, it is V GOOD for hair that is thinning and falling out. Philip Kingsley as he is also a world famous Trichologist. He has products on QVC UK. His ELASTICIZER is EXCELLENT and always rates v well. If you have Marks & Spencer in NI, they sell them and come in trial as well as normal sizes. You only need a wee 5pc size drop, use it weekly. The HD informed me that using the hair products ‘off the shelf’ (is the same as getting your makeup off the shelf) as they are bad for your hair as they strip the top layer off your scalp and damage the hair. I am talking the likes of AUSSIE, PANTENE, HEAD & SHOULDERS to name a few. One off the shelf though that is good is the OGX brand, for the takeaways sizes, their a fiver ea unless you go to BOOTS, around £2.50 ea on their 3 for 2. Their Shampoo & Conditioners are normally retailing for £7-10 ea but BOOTS currently or did v recently have them on special offer @ around £6-7 ea.